Did negligent security contribute to the shooting of this young father? Read Our Legal Take to find out if the victim’s family may have a legal avenue for justice and claims for compensation. 32-year-old Troy Redd was reportedly shot and killed at the Cross Creek Apartments Wednesday morning, August 24, 2016. 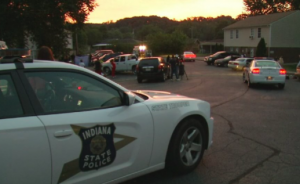 According to WDRB News, “[o]fficers were called to the Cross Creek Apartments on Green Valley Road in New Albany around 3 a.m. Wednesday. Troy Redd, 32, had been murdered, his body found lying on a sidewalk at the complex.” Mr. Redd had apparently been playing dice with friends shortly before the shooting. Mr. Redd leaves behind “two children and another daughter due next month,” according to WLKY reports. Three weeks later, Mr. Redd’s family and friends are still searching for answers and justice. Generally, property owners are required to protect all residents and guests legally on the premises from any foreseeable harm. Should the facts of this matter reveal that the apartment complex owner or management company failed to provide adequate security to protect those on its premises, the family of Mr. Redd may seek justice and elect to pursue a legal claim for his wrongful death.